Designed for use In Class I, Division 2 and Class I, Zone 2 areas such as petroleum refineries, chemical or petrochemical facilities, the factory sealed panelboards are used to control lighting & appliance, power circuits & power distribution in applications requiring branch power distribution, over current, and short circuit protection. 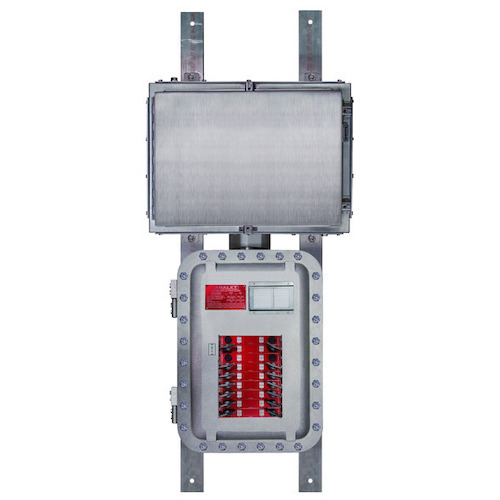 Utilizing electrical components from Cutler Hammer, the Adalet factory sealed panelboards are pre-wired and factory sealed from the circuit breakers inside the flameproof enclosure to the main distribution blocks and branch terminals housed in an IP66 rated, Type 4X stainless steel Increased Safety terminal enclosure. 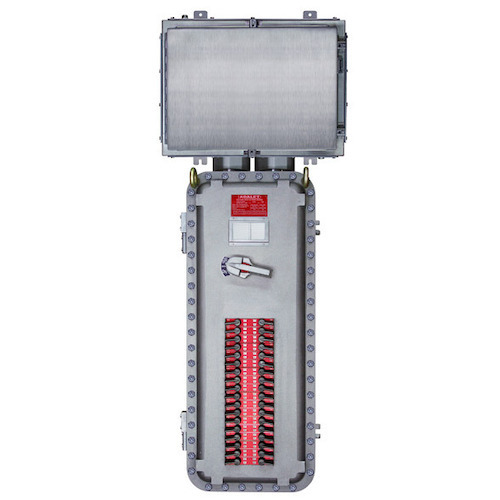 The factory seal between the breaker enclosure and terminal enclosure eliminates the need for external sealing. 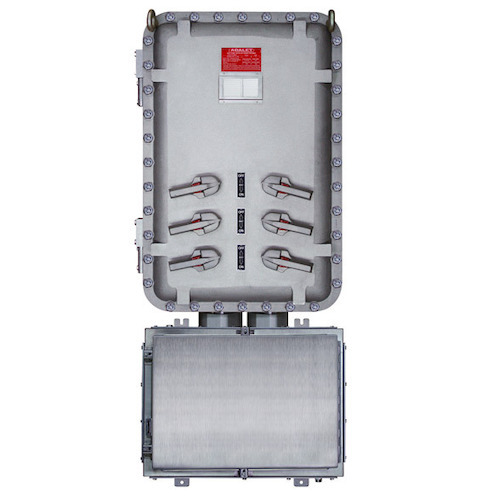 All Adalet factory sealed panelboards are equipped with padlockable external operating handles, copper bus, isolated neutral and ground bar, GFI or EPD breakers, and terminal blocks. 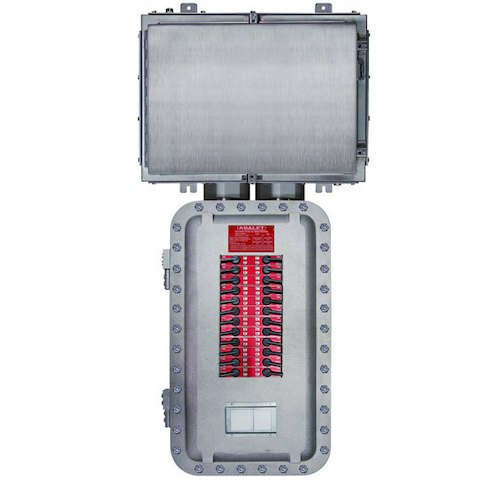 Gasketed covers provide type NEMA 4X rated protection for a water tight seal, and stainless steel cover bolts, removeable hinges, and breather/drain are included as standard features.